This business really started out of my desire to do something creative by using things I already had on hand. I decided my 9 x 13” pans needed to be dressed up. And what better to put on them than my name, so when I take them to church, I’m sure to bring my own pans back home. So much more beautiful than tape, marker or stickers that soon turn into an unsightly mess. One day I surprised my best friend by etching her last name on one of their 9 x 13” pans as a surprise for her birthday. She still says it’s one of the best gifts anyone has given her. Wow, what a great compliment! Of course my best friend had to share this information with her co-workers and then I had four more items to etch. So I made a decision to share this with as many people as I can. 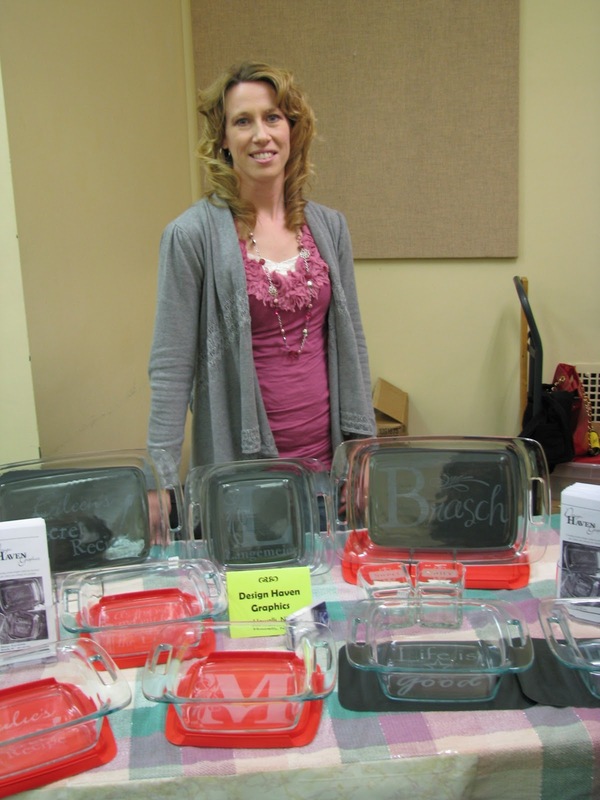 So here I am doing area events, trade shows, craft shows and am a member of GROW Nebraska. There are some great opportunities that show up in my inbox. And I take advantage of as many as I can. As a graphic designer I’m thrilled to be doing what I love and something that gives me a huge creative outlet. Believe me, a mother of three boys NEEDS this! So as a stay-at-home mom, I can raise my kids and still be creative and have some adult time too. I love what I do as a graphic designer, but I also have the flexibility as a stay-at-home Mom of three boys, and wife to my husband, Brian.